Weather Smiles is a fairly simple weather app for your Windows Phone that has been recently updated to support Windows Phone 8. 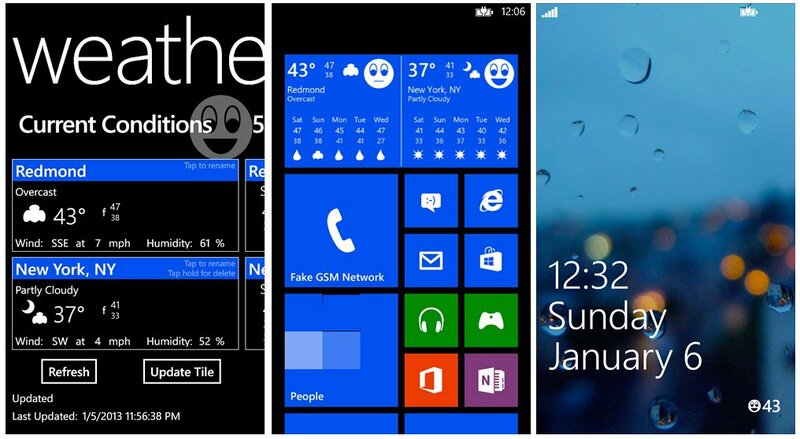 Version 2.0 adds multi-sized live tiles, support for all Windows Phone 8 resolutions, and lockscreen support to the mix. Weather Smiles supports two locations for your weather forecasts, your current location and another that you choose. The app will display the current conditions and a five day forecast for each location. Live tiles will display current conditions (and forecast depending on the size) for each location as well. 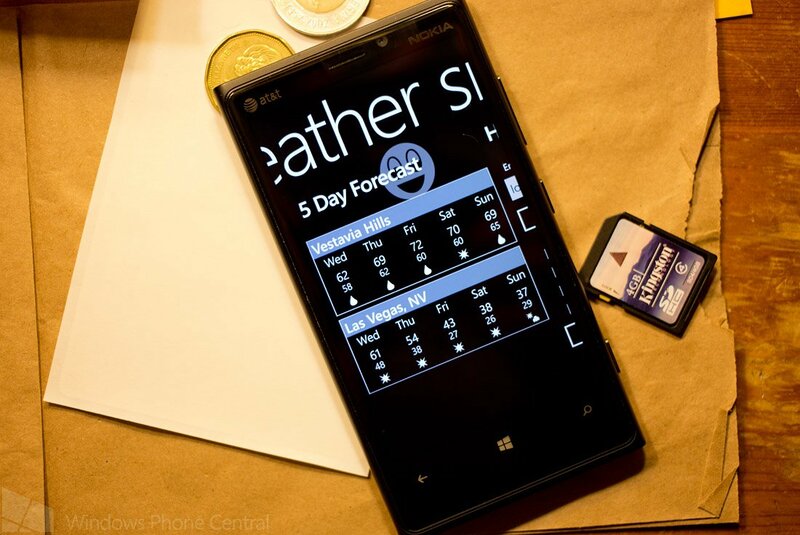 Lockscreen support for Windows Phone 8 adds Weather Smiles notifications that will display the current temperature on your lockscreen. It's a nice feature but because it uses the lockscreen notifications, it's a rather small display. Really not the fault of the developer, just the nature of lockscreen notifications. Weather Smiles gets it's weather data from World Weather Online and supports a healthy number of global locations. In just tinkering with it for a short while, Weather Smiles comes across as a nice, simple weather app for your Windows Phone. There is a free trial version available with the full version of Weather Smiles running $1.29. It is our understanding that the $1.29 is temporary with the full price of $1.99 returning shortly. You can find Weather Smiles here at the Windows Phone Store.